Finding quality rental cars in Chile is easy with NÜ Car Rentals. With its geysers, mountains, beaches, forests and volcanoes, Chile is an adventurer's paradise, and a Concepcion Chile car rental is waiting to take you to it all. 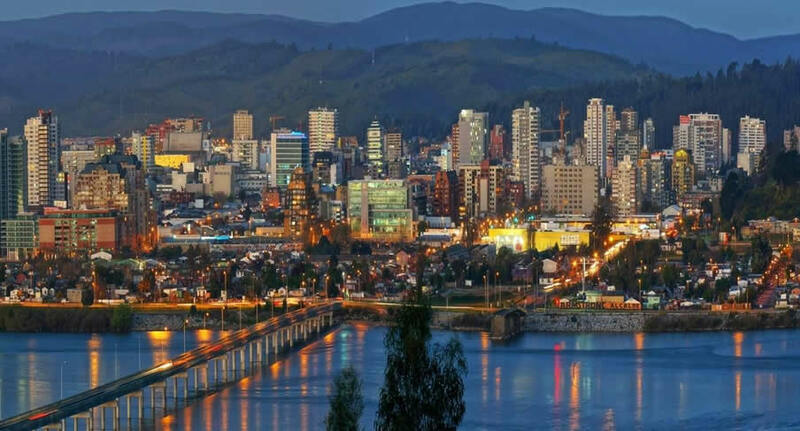 Concepción is an important and hardworking port city that is best known for its universities and music scene (many of Chile's best rock acts got their start here). There are a few plazas and museums worth checking out, and Spanish-speakers will be rewarded with an energetic and youthful arts, music and culture scene. The city sits on the northern bank of the Río Biobío, Chile's only significant navigable waterway, about 10km from the river's mouth.